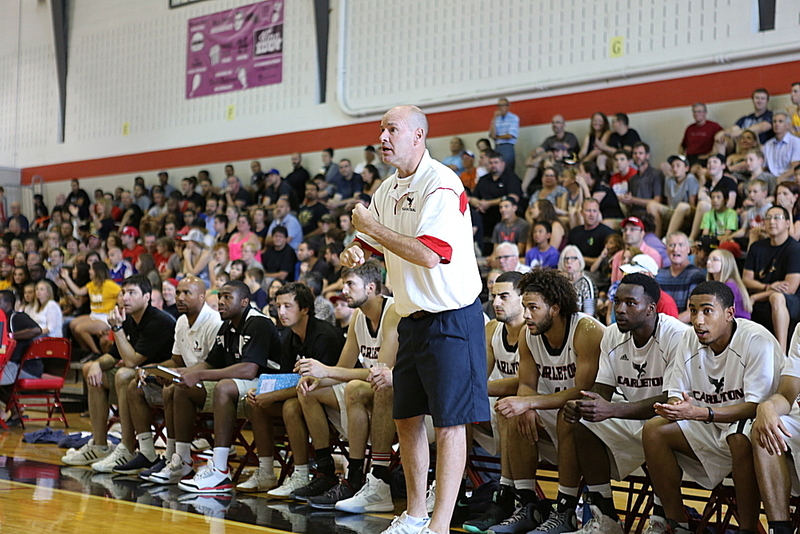 HALIFAX – After trailing for the majority of the game, the Cape Breton University Capers battled back in the fourth quarter to defeat the Acadia Axemen by a score of 83-75 and claim their first AUS men’s basketball title since 2009-10. The win secured a spot for the #2 ranked Capers in the CIS Final 8 next weekend in Ottawa, Ontario. Capers star, Jimmy Dorsey was named the tournament MVP after a spectacular performance at Halifax Metro Centre on Sunday afternoon. Dorsey (who was named AUS MVP for the second consecutive year earlier in the week) had 30 points, 8 assists, 4 steals and made all of his 16 free throw attempts to lead the Capers to victory. Although Dorsey stole the show, the depth of head coach, Matt Skinn’s roster was on full display in the AUS championship game. Freshman, Kayon Mayers sparked a fourth quarter comeback for the Capers with a pair of huge steals, and added 13 points to the team’s offensive attack, while fellow freshman, Shaquille Keith and Meschack Lufile each contributed 12 points for CBU. For Acadia, their star big man, Owen Klassen was a beast through the first three quarters. It seemed like every time Cape Breton would be ready to make a run, Klassen would come up with a big play to keep the Capers at bay. However, he was shut down late in the fourth quarter and couldn’t help the Axemen to reclaim the lead over the Capers. Klassen finished with an impressive 24 points, 8 rebounds, 4 steals and 4 blocks in the loss. The first half of play saw little action as both teams struggled offensively. Klassen’s presence in the paint on both ends of the floor was too much for the Capers to handle and Acadia took a 35-31 lead into halftime. The third quarter was back and forth and saw an increase in action, with Acadia carrying a 58-54 lead into the final quarter. Anthony Ashe’s friendly roll off of a three pointer in the middle of the fourth quarter put the Axemen up five and it seemed like everything was going Acadia’s way. However, down 64-59, the Capers put together a 11-2 run to give them a 70-66 lead and force an Acadia time out. The run was sparked off a Cedric Kasongo three pointer which was the result of some great hustle from Cape Breton native, Kelson Devereaux. The three was followed by steals from Kayon Mayers and Sean McCormick that led to points for CBU. From there, the Capers didn’t look back thanks to some clutch shooting from Dorsey and Acadia point guard, Sean Stogua fouling out.The “Orange Army” stormed the court in celebration of their Capers taking home their fourth AUS title and putting the axe to Acadia. The Capers will likely keep their #2 ranking going into the CIS Final 8 next weekend, where they will join Carleton, McGill, UBC, Ottawa, Lakehead, Victoria and likely Acadia. The final seedings have yet to be determined but keep your eyes locked on Basketball Buzz for the latest.